Thank you for sponsoring A Warmer Day and our mission to provide coats and other winter apparel to underprivileged children and families. We are currently accepting 2018 Sponsorships! 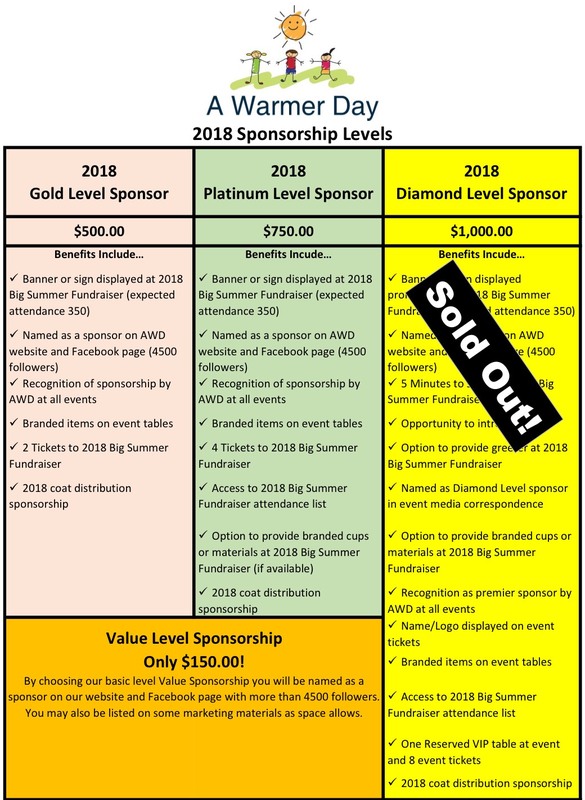 Below is a description of each sponsorship level and the associated benefits. At the bottom of the page, you can choose your level and reserve your spot!